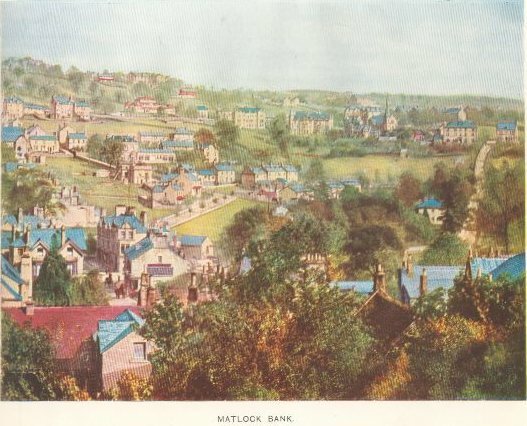 These pictures come from "The Autochrome Album of Matlock and District", printed by Percy Lund, Humphries & Co Ltd. Scans were sent me by Tim Lomas, many thanks. 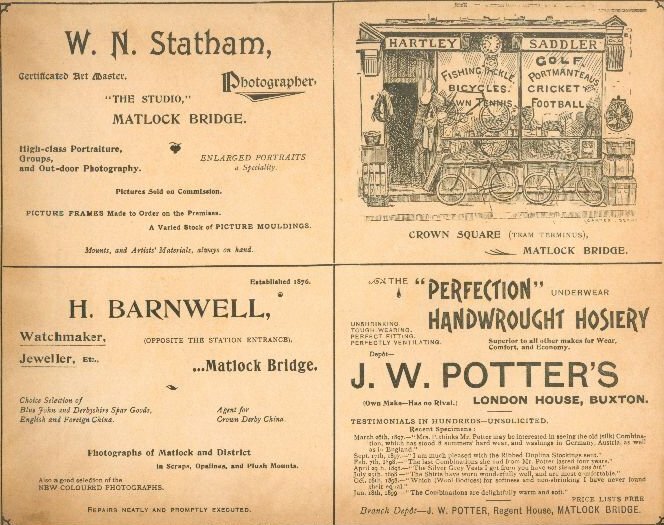 I've chosen the pictures within the Wirksworth Area, and some adverts. 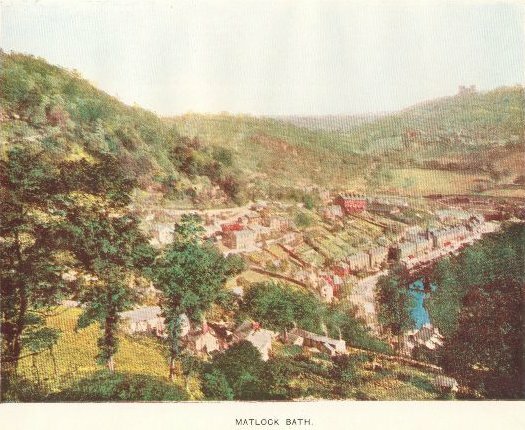 This picture was taken before the tram shelter was built, the gift of Robert Wildgoose in 1899 (he died in 1900), see Photo 189. The tram began operation in 1893. The original tram colours were blue/yellow. 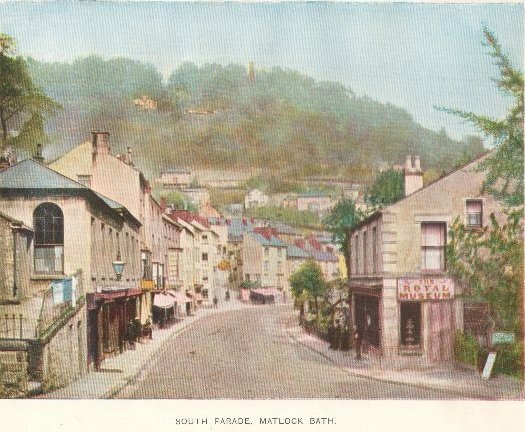 The shop on the right was a drapers run by Harry Castle. His wife Sarah was a widow in the 1901 Census. The large barber's pole sticking up belonged to William Phillips, hairdresser. 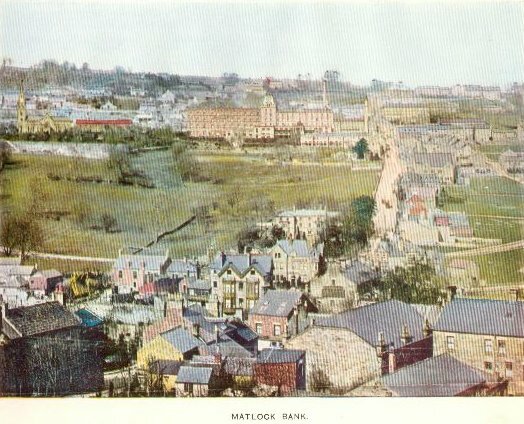 The shops on the right were demolished in the 1920's. 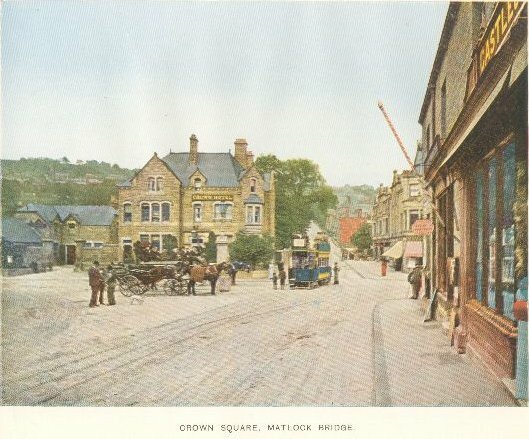 The large Crown Hotel stands across the square, its inhabitants can be seen in the 1881, 1891 and 1901 Census. 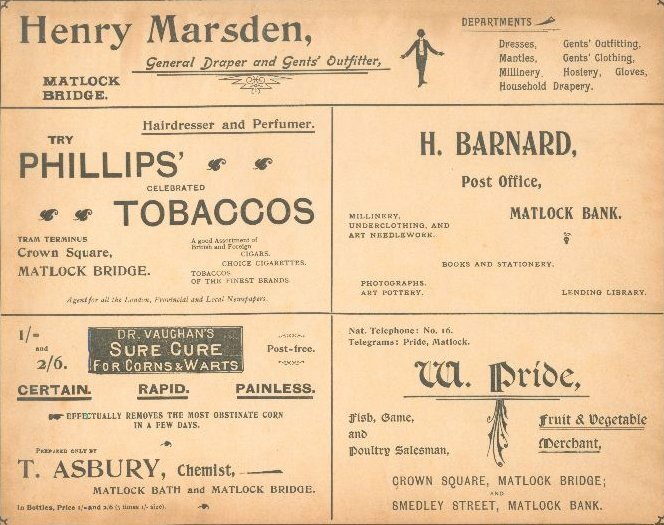 These advertisers can be found in the 1891/1901 Census for Matlock. It's part of an old book I scanned some time ago for Ann Andrews. Feel free to take a copy of the page, the book's well out of copyright. few photos of it during the work last year when I was in town. tramway somewhere, I'll see if I can locate it.